Identity theft is on the minds of many Americans these days. With a number of recent data breaches, consumers are being extra cautious about how and where they share and use personal information. While the breach of any personal and financial information can wreak havoc on your credit — and your life — no other personal information is as sensitive as a social security number. That’s why a compromised or stolen social security number can be so devastating. Your social security number is your main identifier. It enables you to do everything from getting a job, to being paid for said job, and paying your income taxes. Once it has been compromised, it can put you at great risk. While compromised credit cards and bank accounts can be closed and new accounts reissued, it’s not quite as simple with a social security number. Getting the Social Security Administration to issue a new social security number is no easy feat either. There are very few circumstances under which new numbers are actually given. Even in cases of identity theft, the SSA generally only issues a new number after all other attempts to remedy the issue have been exhausted. Therefore, it can take years to recover from identity theft when a social security number has been compromised. There are a number of ways for identity thieves to get their hands on your social security number. Data breaches are one major way, and are unfortunately becoming increasingly common. The 2017 Equifax breach exposed more than 143 million social security numbers when cyber criminals exploited a vulnerability on the credit bureau’s website. In addition to social security numbers, birthdates, addresses, driver’s license numbers, and credit card numbers were stolen. Of course, there are other methods for criminals to obtain this personal information, including sifting through trash to recover personal documents that contain identifying information. It’s important to be careful how and where you dispose of documents. It’s also important to note that there are rarely legitimate reasons to divulge your social security number. Intake forms for a number of services often ask for this information, but that doesn’t mean you’re required to provide it. Most Americans assume they are required to give their social security number when a doctor or dentist requests it, for example, but that is not the case. For basic medical services, your insurance coverage identification number is typically sufficient. Before you readily give out this information consider if it’s really necessary to do so. And keep in mind that the fewer place you share your social security number, the lower your risk of it being stolen. No matter how your information is obtained, it can easily be sold by criminals on the dark Web. Then thieves can use the information to obtain new credit in your name. Opening up new accounts – Your social security number is the main piece of information required when applying for a bank loan, credit card, or opening any new financial account. With that information in hand, thieves can pretty easily get credit cards or loans in your name that they can use and abuse. By maxing out credit limits and defaulting on payments they’ll do major damage to your credit score and severely impair your ability to get any type of loan in the future. Filing fraudulent tax returns – Fraudulent tax return filings are on the rise. 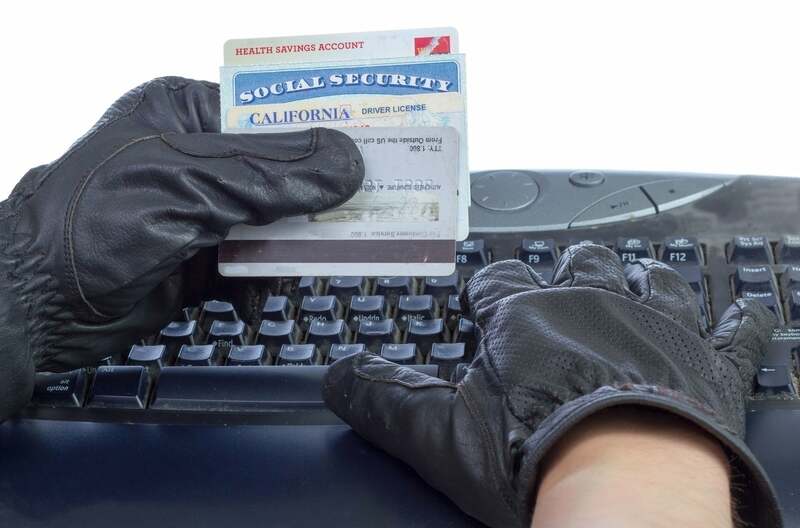 Identity thieves use social security numbers to file taxes and claim the refunds due their rightful owners. The Internal Revenue Service said $227 million was lost to fraudulent refunds in 2016. If you or your tax preparer attempt to file your tax return and it is rejected as a duplicate, that likely means you have been the victim of tax return fraud. Obtaining medical care or prescriptions – Your social security number gives thieves access to just about any and everything that belongs to you. That includes your health insurance coverage. A thief that undergoes treatment in your name can alter your medical record, resulting in potentially dangerous consequences. Additionally, thieves can seek emergency care for the purpose of getting their hands on prescription drugs, including narcotics or other drugs that can be dangerous in the wrong hands. Stealing your benefits – With your social security number in hand, a thief can access your Social Security or unemployment benefits. They can quickly drain those resources, preventing you from collecting those funds when you need them. Identity thieves are often very clever and can operate for many years using your social security number. If they’re using your identity for smaller, less obvious crimes that running up a bunch of credit card debt, their crimes can be more difficult to detect. Being proactive by regularly monitoring your credit report is the best way to identify fraud and identity theft. Your credit report and credit score can help you to quickly detect fraud and put an end to it. If you see new accounts or public records you did not initiate, you’ll need to act immediately. Remedying cases of identity theft is overwhelming and time consuming. If you believe you’ve been a victim of identity theft, it’s a good idea to contact a legal credit repair specialist to help you. At Lexington Law, our legal experts can help you understand and exercise your legal rights to remove inaccurate and fraudulent items on your credit report and to ensure that it is fair and accurate. Contact us today for more information. This entry was posted in Negative Items and tagged Credit Repair, Identity Theft, social security number. Bookmark the permalink.